The staff are super friendly! The rooms are clean. Maybe the rooms don't have everything you need (iron, additional towels, dryer...) , however if you ask the staff they will help immediately. Excelent location, friendly staff, clean room,great value of many, i definitel will book again thee. The property was very clean, quiet. Good location. Bed is comfortable, TV an wifi is good. The staff was very friendly and available at all times. 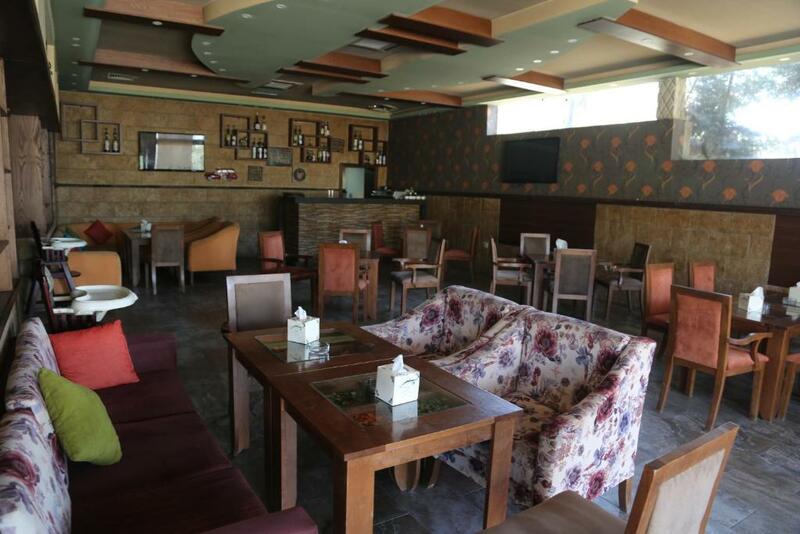 Lock in a great price for Rozana Hotel Suite – rated 8.2 by recent guests! Rozana Hotel Suite This rating is a reflection of how the property compares to the industry standard when it comes to price, facilities and services available. It's based on a self-evaluation by the property. Use this rating to help choose your stay! One of our best sellers in Amman! This hotel offers modern accommodations with free Wi-Fi access, just 1,000 feet from JETT Bus Station. Free parking is available. Amman shopping district is a short drive away. 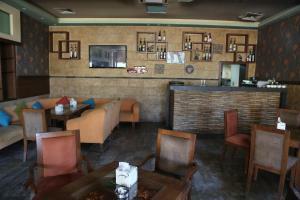 The on-site restaurant serves a variety of local and international cuisines. Locally inspired drinks are offered here. 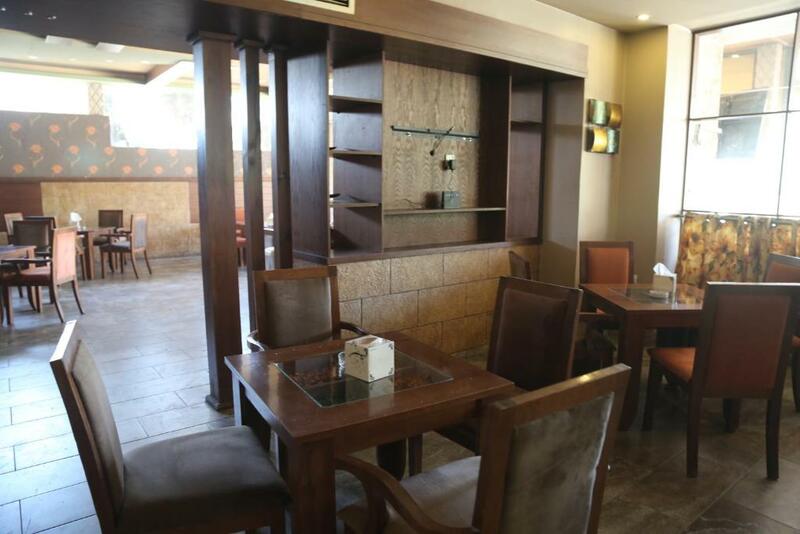 Rozana Hotel provides guest laundry facilities as well as 24-hour room service. Rozana hotel Suite is 15 minutes drive from Queen Alia international. Royal Jordanian City Terminal only 1640 foot a way, while the Airport Shuttle bus stop is only 1,950 feet away. 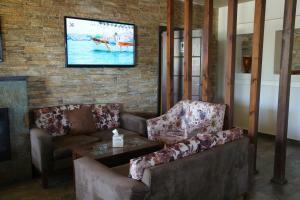 When would you like to stay at Rozana Hotel Suite? 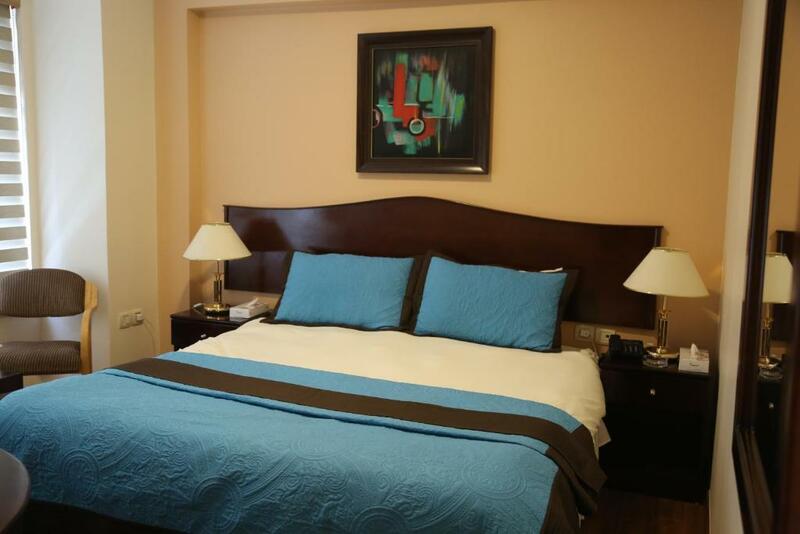 Spacious room with a modern outlook equipped with flat-screen TVs and a work area. 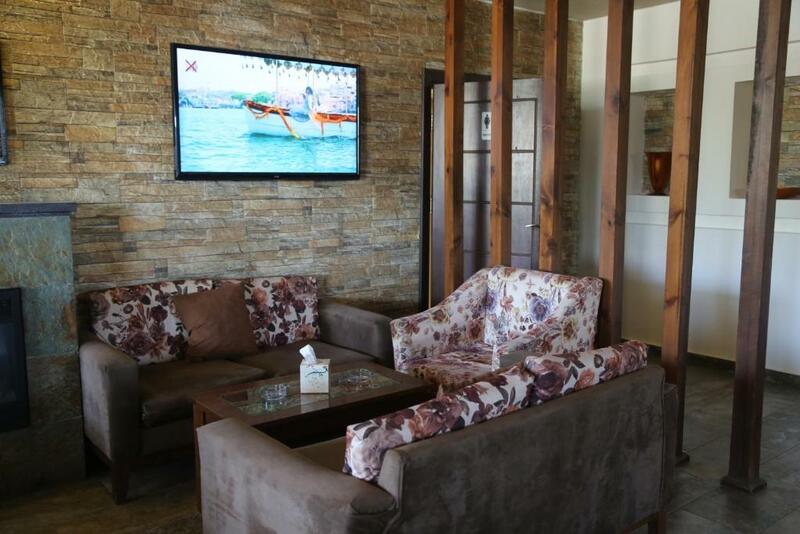 House Rules Rozana Hotel Suite takes special requests – add in the next step! Rozana Hotel Suite accepts these cards and reserves the right to temporarily hold an amount prior to arrival. Please note that the hotel entrance is off the Airport Road Swiefieh area, near Cosmo. Some nationalities can obtain an entry permit stamped in their passport upon arrival at the airport. Guests are advised to check their visa requirements before traveling. The place was under Construction and looked abandoned. Work continued till 10:30 pm and we had to call the reception several times before it stopped. We could not walk down the stairs as the 1st floor was all occupied with work. Room was not too bad but the Bead-sheets were not clean, we asked to get new ones which were not very clean also! At first coming, I smell a little smell of cigaretts, maybe I smell it, because I don't smoke. Cleaning could be better. In the winter time and during the heavy rains the building isolation is not effective. It isn't close to the downtown, 10 km approximately. Ask for a room at the opposite side of the Airport Ave. The facilities in the bathroom need refurbishment. The shower did not drain properly and the sink's drain also got stuck. On Google Maps, the main entrance is indicated on the motorway. However, the hotel is accessible via the parallel street. Good value for money, especially in Amman, and the facilities looked like a 5-star hotel after previous experiences at hotels in Jordan (including Amman and Petra). Staff was friendly and helpful, the bed was comfortable. Three is parking outside of the hotel. Smell in the room: our clothes after visiting this hotel smelled like cigarettes. No separate AC. Far from the centre. Small room. Slightly noisy place due to major highway nearby, although mostly due to faults in windows mount..
Good place, clean, comfortable bed. Helpful staff. 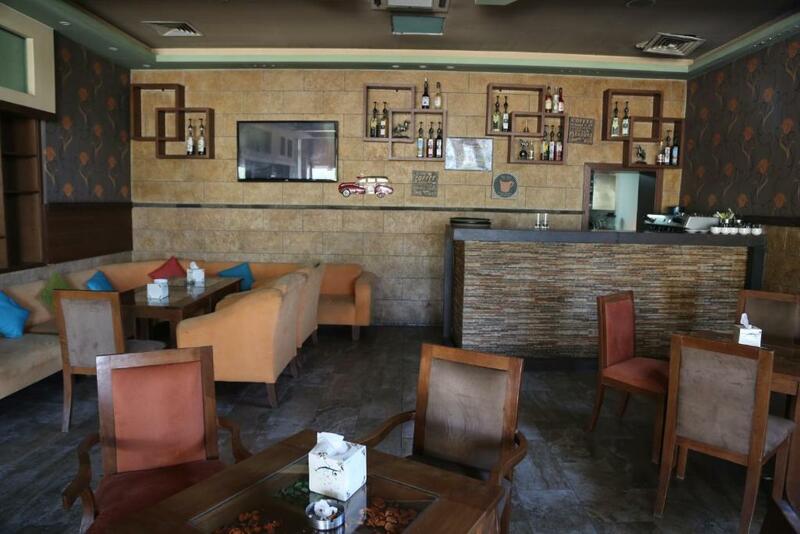 The location, which initially seemed to be a shortcoming, in fact appeared to be a bonus: located by the 7th circle (airport bus stop), in an emerging area with 24/7 supermarket, lots of restaurants and major roads. Lots of parking space. 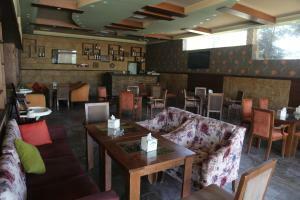 economical hotel with reasonable facilities , best for loners on business travel. staff is very much cooperating .